If there is one thing android enthusiast and tech lovers enjoy most about the android platform, its the limitless freedom it gives you to customize and personalise your device. On android you can root your smartphone, unlock the bootloader, Install custom recovery, custom ROM and do a lot more that other platforms wouldn't allow you to do. But as open source and customisable as the android OS is, there is no doubt that rooting, unlocking bootloader and doing some sort of customisation on your android device pose a lot of security threats to your Smartphone. 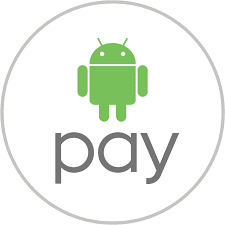 Google's android pay lets you make payments and perform transactions directly from your smartphone. And since this involves money, then security is also a key factor to take note of. So in a bid to keep your bank information safe, Google initially restricted the use of the android pay on only non-rooted Smartphones. But now Google has taken another step to disable Android pay on devices with unlocked bootloader even if it's not rooted. The might sound like a bad news for the android geeks who loves to tweak their smartphone. But if you look at the from another perspective, this really seems like a good move from Google. It's no doubt that rooted android devices or devices with unlocked bootloader are easy targets for cyber criminals. So Google actually made this move just as an extra precaution to make sure users information are kept Safe. So if you need your rooted smartphone, then Google isn't stopping you from doing that, matter of that Google already announced that the pixel smartphone will be easy to root. But one thing you need to have at the back of your mind is that if you want to use android pay on your device then your smartphone must not be rooted and your bootloader must not be unlocked.